The team at Gold Coast Wraps achieved a great result with a completely unique design that pays homage to the Volkswagon brand. But Roger’s creativity doesn’t end with just the exterior! He still intends on having the interior wrapped and customised. Including having the cupboards wrapped in the old-school pale blue and cream that the classic Kombi’s used to be made in. He is also in the process of having the seats altered to replicate the original seats that you would find in a Kombi, again, with the iconic pale blue and cream. And to finish the seats off he will also be having the VW logo embroidered into them. We can’t wait to see the end results of this one-off project and check out the unique interior or some future inspiration or recommendations. 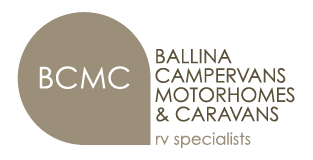 Have you ever considered customising your own campervan or motorhome? Check out our stock page for some inspiration or contact us to discuss your ideas.